I personally give these goggles a 7.5/10. The best part of this headset would have to be the fit. On the interior of the headset when the user’s face comes into contact with the headset is very comfortable. There is a padding that is layered on the inside for comfort for the user. Because of this feature, users have an easier time leaving the headset on for longer periods of time due to the increase of comfort in comparison to other headsets. Another great feature of this headset is the carrying case. 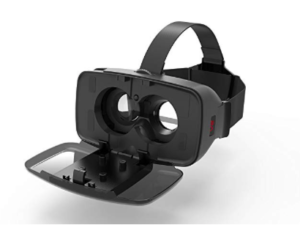 Because the headset’s screen is so smooth and easy to scratch, it is very convenient to have a carrying case to protect the goggles from being messed up. 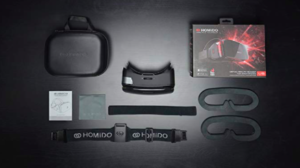 This also allows for easier storage of the headset without worrying about the product because of the protection provided by the hard-shell case. There were two aspects of this headset I did not care for as much. The first is the clarity of the 360 elements. More often than not, what is watched in the headset is blurry. At first, I checked the video to ensure I was not mistaken. When I saw my videos were in the best resolution possible, I began to play with the focus setting on the top of the goggles. Spreading apart or pulling together the eye piece did not help the clarity. It is almost as if there is not enough space to adjust the eye piece for more clarity. The other aspect I was not a huge fan was the space for the mobile device. The space provided includes a lever that allows for multiple sized devices to be used. However, the lever does not have much gives which causes the user to almost have to force the device into the headset. When using the headset, you simply just insert the device, close the screen, and place the headset on your head like a hat. If the headset is fitting tight, you have the ability to loosen the straps to fit your head size. Also, if you do not use or have wireless headphones, Homido does not discriminate! There is an opening between the screen and the main headset piece to allow for headphones to be plugged in. If at any point the user needs to click on something on the main screen, the headset has a silver button on the right-hand side to click just like a mouse to a computer. I definitely think this headset is worth the lower price. For $22, it’s pretty good quality in terms of its build and overall look and feel. 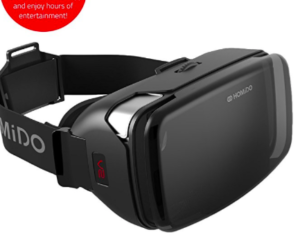 This headset is great for beginners or those who are just interested in VR for fun. However, if someone is wanting to pursue VR in a more serious way, I would suggest something with some more power in the headset.